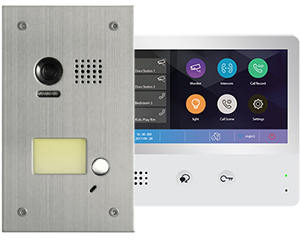 Intelligent Home Online is your gateway to all things door entry. 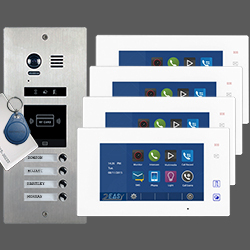 Whether it is door entry for homes, offices or blocks of flats, we have a system to suit. We have many kits which save you the bother of adding together all the various bits. 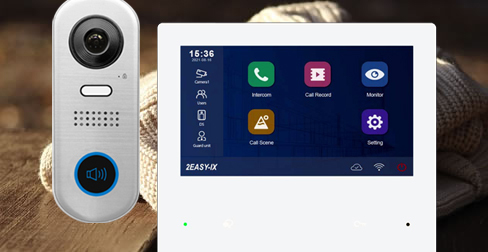 Or you can specify your own bespoke system, almost any size and complexity. 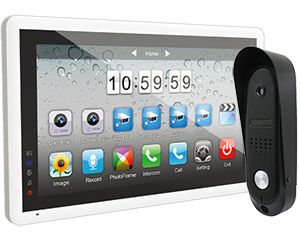 Beyond door entry, we provide integrated CCTV plus door entry systems to monitor your home. 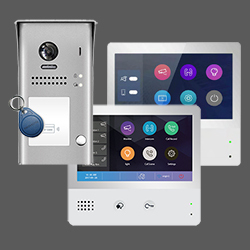 And to save you time, access control kit including scrambled keypads, proximity readers (key fob reader), exit buttons, electric locks and door release. Video door entry can be technical and complex, and sometimes you just have to get some expert advice. Call us! We are available six days a week, from 9.00 in the morning until 9.00 at night. You can call us free on 0800 0209218 and let us help you find exactly what you need. If you already have a system and need some help with it, you can call us on 020 86170015 and we will get you back up and running in no time. 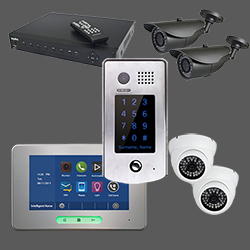 The most frequent question we are asked after someone buys a system is who will install it. We have a list of installers covering most of the UK and Ireland. 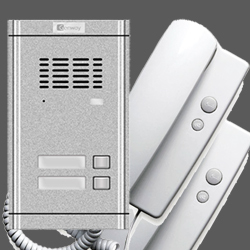 We will provide phone backup for those installers too, should they need it.